Every Sunday, 10am to 2pm, year-round, except Dec 25 and Jan 1. 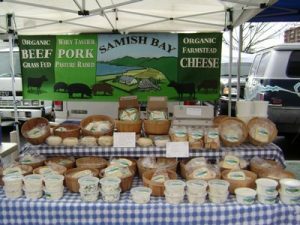 The WestSeattle Farmers Market is located in the heart of the “Junction” at 44th Ave SW & SW Alaska St., Seattle, WA 98116. There is free street parking in the area surrounding the market.